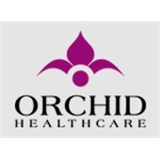 Orchid Healthcare, INC (San Diego) - Book Appointment Online! We are a multidisciplinary behavioral health center specializing in the treatment of children, teens, and adults. Our providers are expertly trained and bring a unique set of skills to assist with helping you and your family thrive. For psychiatry appointments/consultations for MEDICATION please ONLY MAKE AN APPOINTMENT WITH Dr. Satya Tata NOT THE RESOURCE!! Also Dr. Tata DOES NOT SEE any patients over the age of 40. If you are looking for psychotherapy/therapy only NOT MEDICATION please make an appointment with the resource Mariana Bordas as she is only a therapist and CAN NOT WRITE PRESCRIPTIONS!! Please make sure that you fill in your insurance information so that our office staff may verify it before your appointment. If you do fill out your insurance info. your appointment may be cancelled.